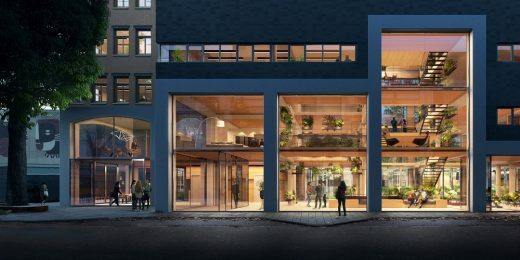 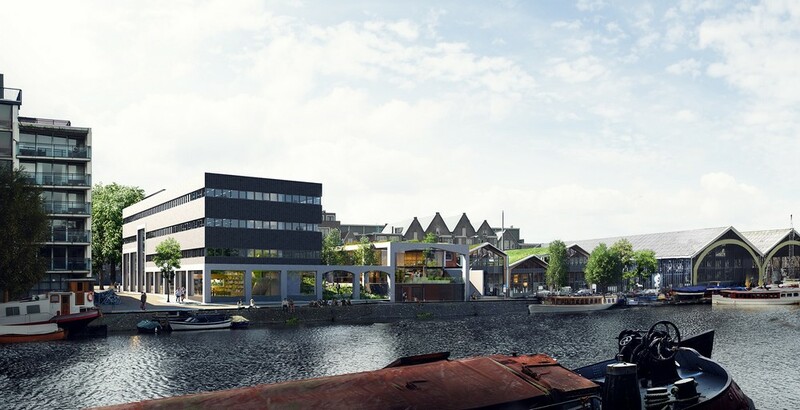 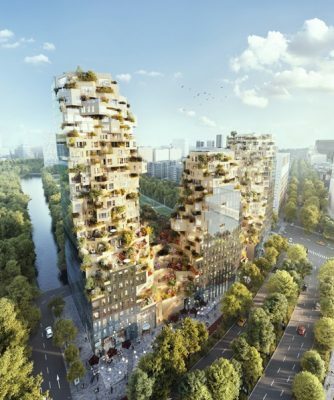 Today, Dutch housing association De Key announced that its head office in Amsterdam is going to be transformed based on a design by Studioninedots. 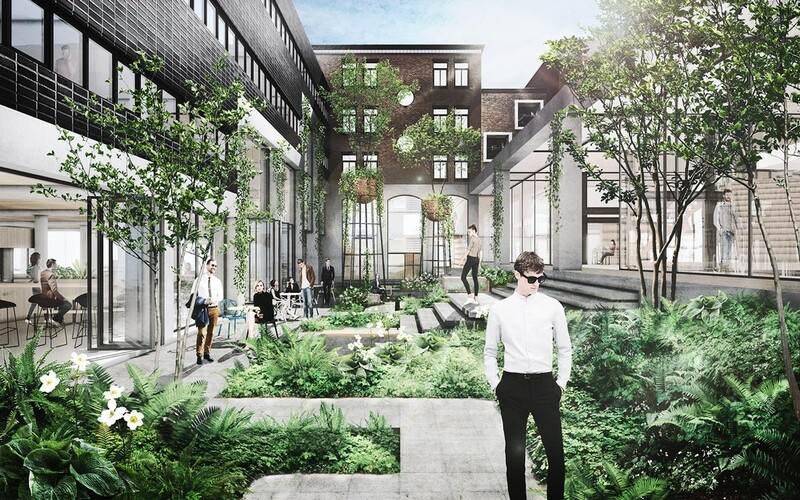 In order to turn the existing complex on the Hoogte Kadijk into an accessible, sustainable and characteristic urban office in the coming years, the interior and exterior of the three work buildings will be fused into a coherent whole. Through a series of smart interventions, the office is to be enriched with a range of workplaces and meeting spaces. The identity of the complex will meet that of the neighbourhood. 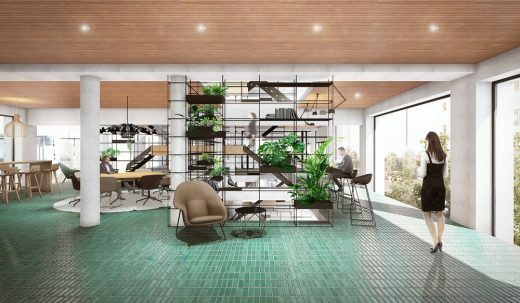 Moreover, De Key believes that its demand for a future-proof working environment with a BREEAM In-Use Excellent, as well as collective and flexible spaces, has been more than answered. 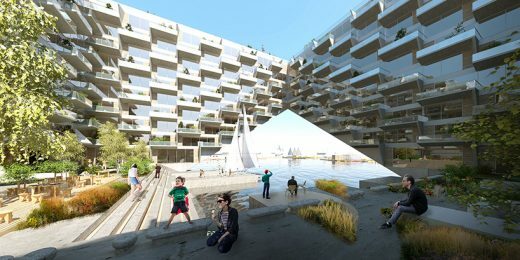 The concept of connection was integral to the design. 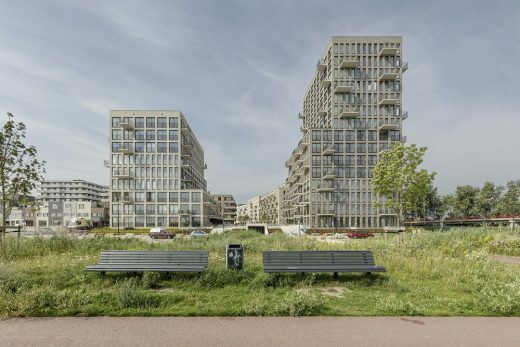 De Key intensifies its urban and social identity by uniting colleagues in the existing office complex on the Hoogte Kadijk and by linking the buildings to the neighbourhood. The new workspaces function to facilitate a variety of characteristic places, diverse and intensively used and offering spaces for colleagues to meet each other. 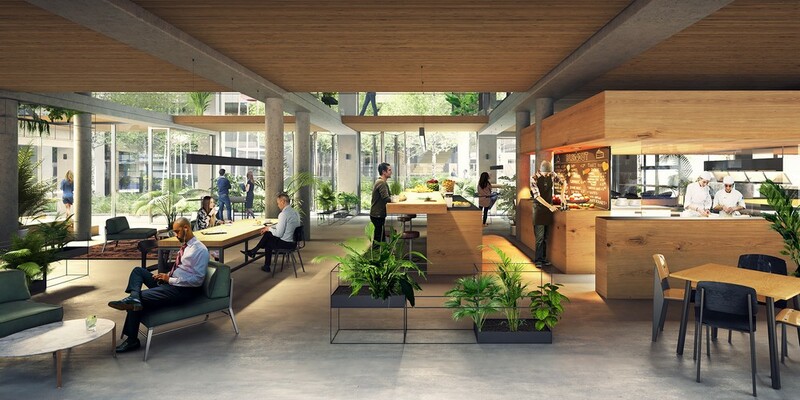 Varying atmospheres, the use of natural materials, a large amount of daylight and the ample presence of greenery will increase the sense of well-being there. A key element of the transformation is the connection of the spaces on the ground floor. 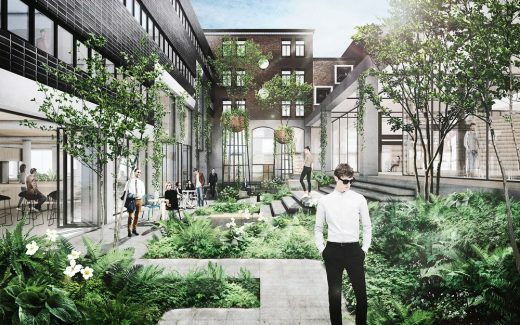 Here, special spaces for informal meetings are to be situated: the restaurant facing the Kruithuisstraat, the collective space next to the Hoogte Kadijk, the Werklab (Work Lab) in the Houtsmaloods to be programmed separately and, in the event of good weather, even the garden in between. 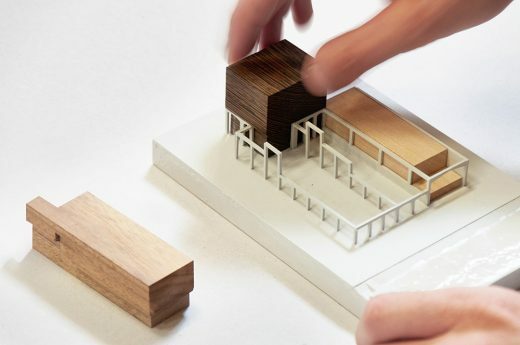 This transparent ground floor will, in turn, connect with the surroundings. 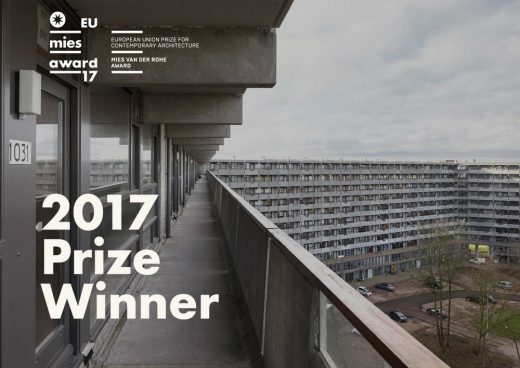 At street level, an unbroken structure of concrete frames, open or with glass facades, will tie together the three building elements and the inner courtyard as if with a ribbon. 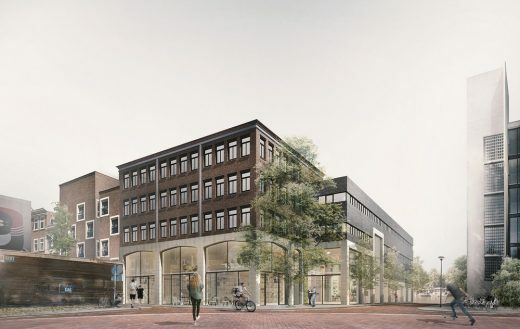 Team: DZAP, Techniplan, DPA, Bouwadviesbureau Strackee, Skaal Bouweconomisch Adviesbureau, DELVA Landscape Architects/Urbanism, Wijngaarde & partners.